I came home with a LOT of treasure last weekend. I decided to share the highlights so as not to overwhelm you with goodies. Please check out Her Library Adventures where a whole lot of ladies are finding some serious treasure. 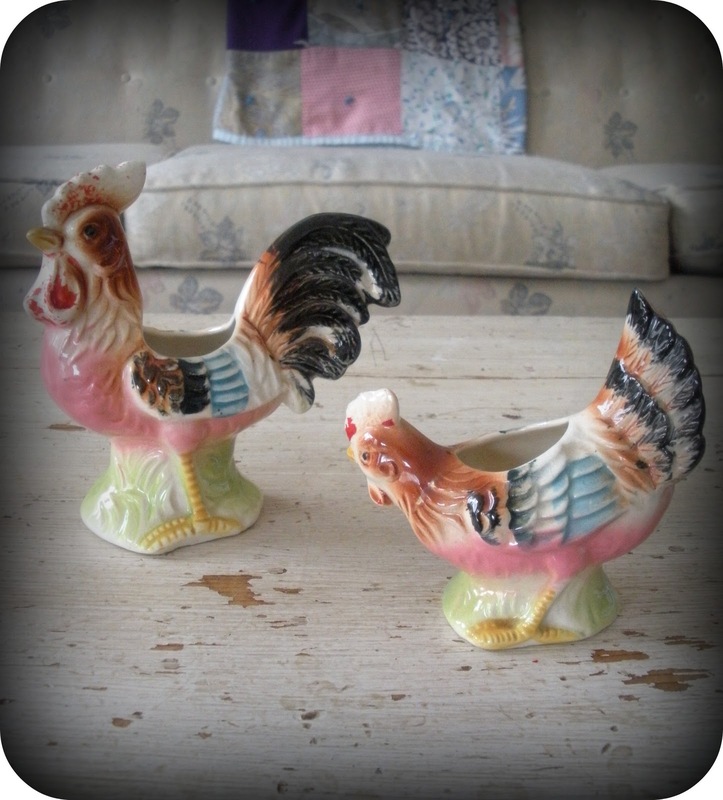 These chicken planters were calling my name. I love their colors. They remind me of my Mommy and the sweet Missouri farm that she grew up on. This set of Italian frames are going to be in the shop soon. 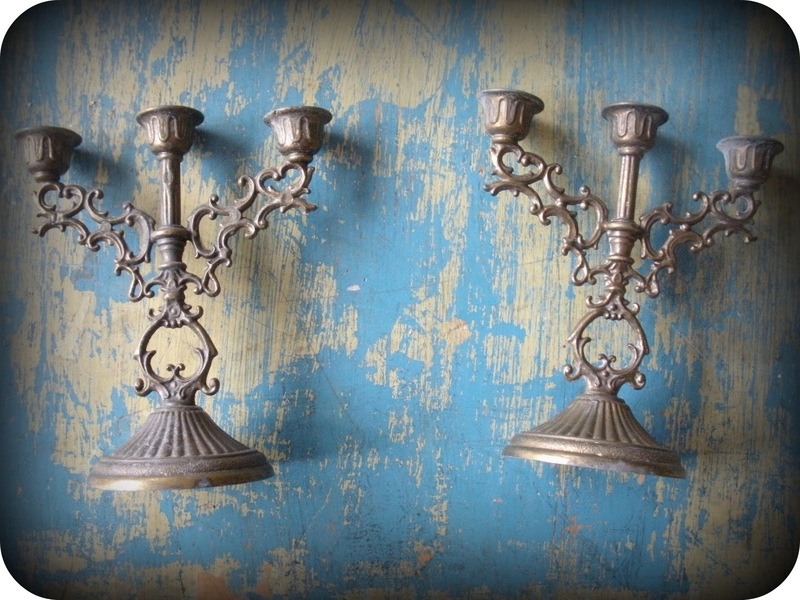 I am tempted to keep this set of mini candelabras for Halloween decorations. 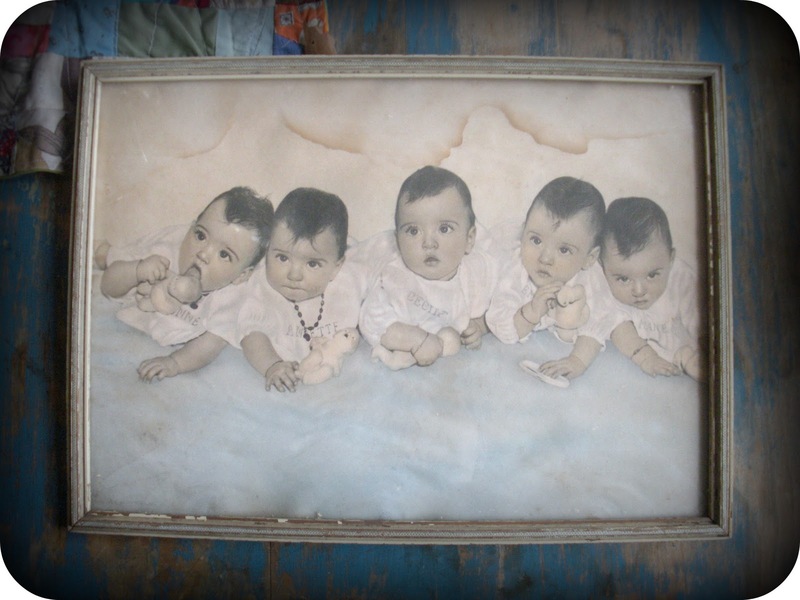 I had to bring this photograph of The Dionne Quintuplets home with me. There is an article about the quintuplets pasted to the back of the frame. They have been called "The Depression Era's Freak Show." I have big plans to make this damaged photograph into something fabulous. 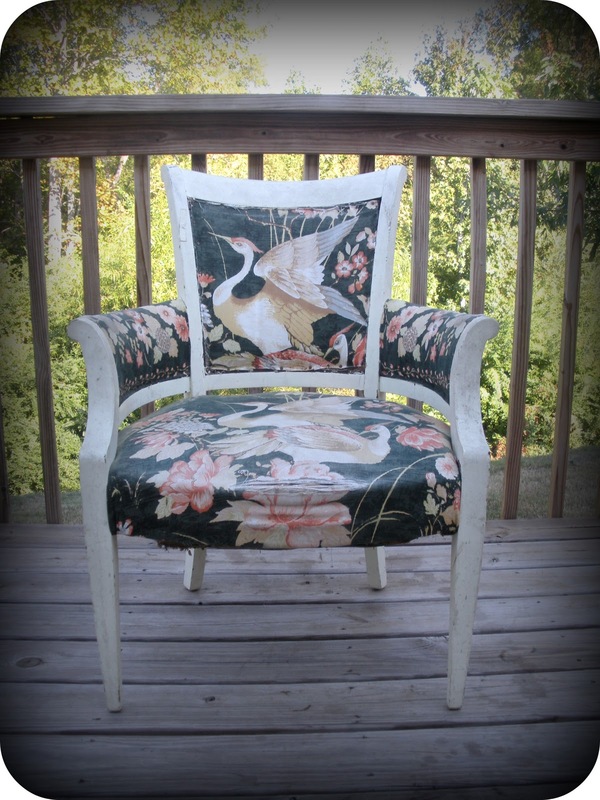 This chair has seen better days but I am going to attempt my first re-upholstering project with it. I "hope" to use it at our kitchen table. 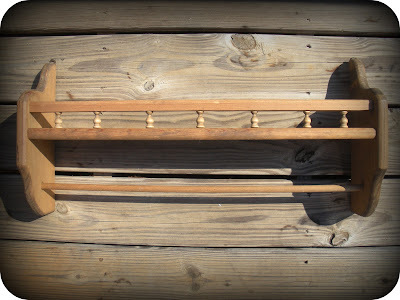 Then there is this quilt hanger shelf. I left it behind once and had to go back for it. It is now hanging in my art room over my sewing machine. the chair is so pretty! LOVE the chair and if you decide to not keep the candleabras - I want them! Great hunt!! Can't wait to see the chair all dolled up a la Miss Kat! Fabulous haul Kat. I love the chicken plants, and as for the chair - it's stunning. Well done you! 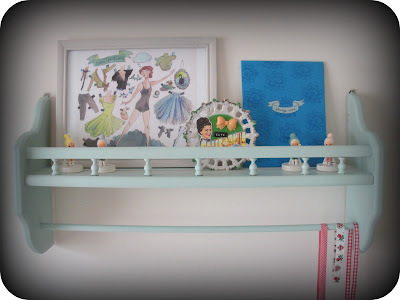 Ooooo I love that you painted that quilt shelf!! It looks beautiful! Those candelabras are so vintage & ghoulish looking!! I'd say keep him for the spooky season! That chair is gorgeous btw!! i think you were a pirate in your former life! you sure know how to pick treasure! 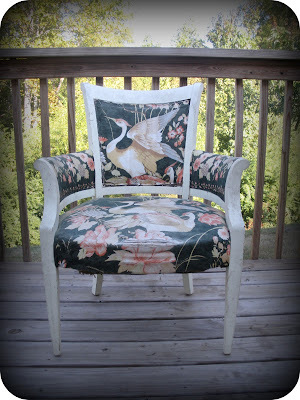 ...LOVE THE CHAIR...can't wait to see the makeover! love it all. . . especially that picture of the babies! and who would just toss that in the "give away" pile???? good thing it has found a *new* good home! long time and NO talk. Great finds! I love that chair! oh to go thrifting with you! 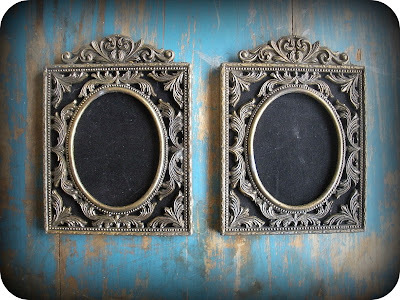 i LOVE those italian frames and candelabras. i collect candle stick holders because on some nights, i like to pretend i'm jane austen and have nothing but candles going. so... guess who made my day today?! YOU DID!!! i got your LOVELY LOVELY LOVELY sweet package of perfection! OF COURSE i loved everything (from Elvis postcard to knee highs to the paris slide-- EVERYTHING!) but the thing that touched me most was the "thankyou" cards that i will happily and excitedly send to my brother from your church class. YOU STEAL MY HEART MORE AND MORE, did you know? you and Bono Baby! i'll be sending you something soon and i can't wait.